ICLAMP can be used with the dedicated earth tester instruments DET3TC, DET4TC and DET4TCR and with the multifunction installation tester MFT1735 to perform the Attached Rod Technique (ART). ICLAMP can also be used in combination with a VCLAMP for stakeless testing using the DET4TC, DET4TCR and MFT1735. 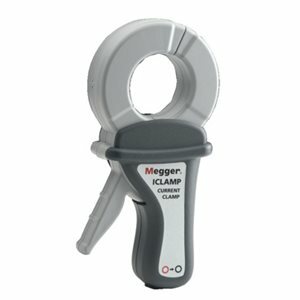 With the MFT1730 and MFT1735 control switch in the clamp position ICLAMP can be used to measure current in the range from 1 mA to 1000 A.